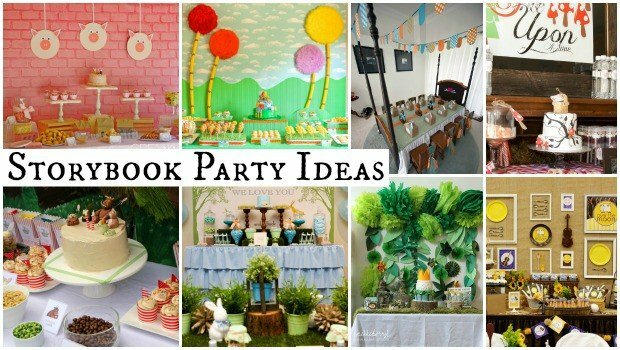 I adore creative party themes! 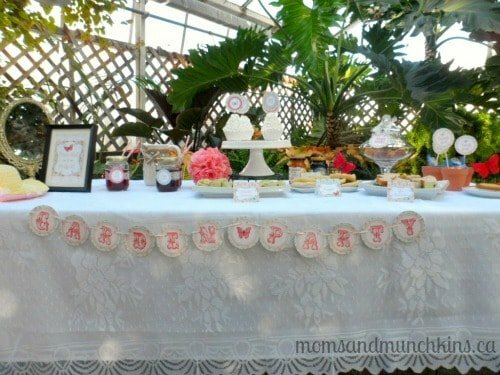 If you’ve been following Moms & Munchkins for a while, you know that I love everything to do with parties. I love the planning that goes into a birthday, the invitations, the activities, the joy of sharing special moments with friends and family…I enjoy every part of a party! 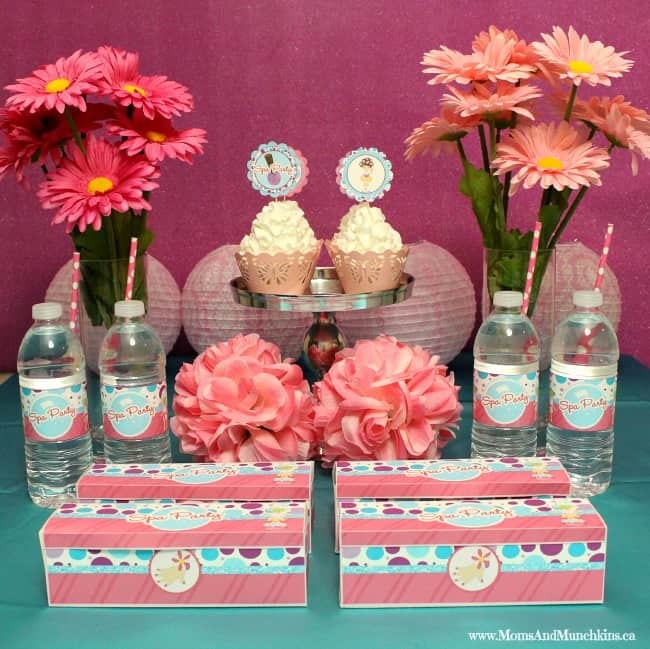 On Moms & Munchkins you’ll find some fun theme party ideas and creative party planning tips. Here I’ll provide a summary of the party themes for you as a quick reference. Simply click on the name of the party themes that you are interested in and it will display the party post in a new window. 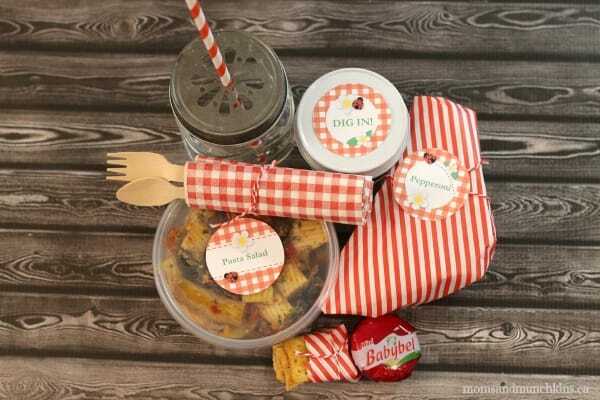 Each theme includes birthday party ideas for invitations, decorations, fun activities, food and treat bags. 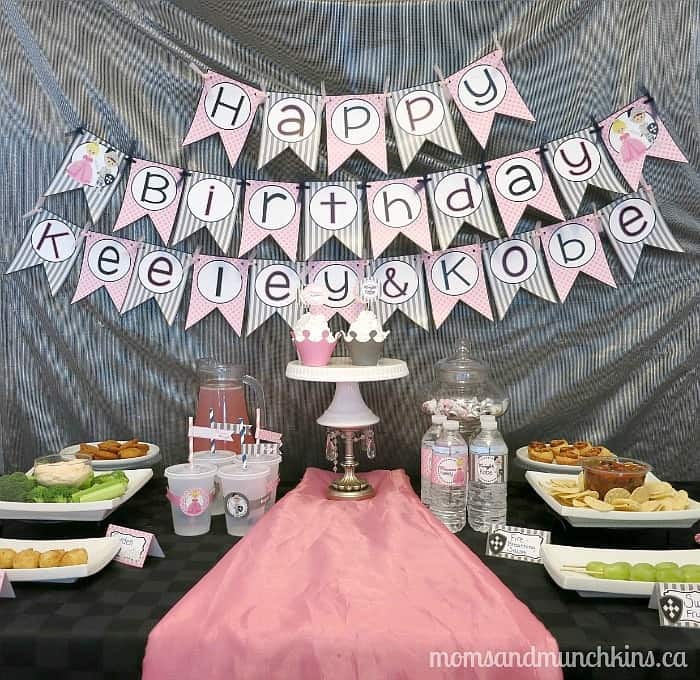 Before we get into party themes, here are some general posts with tips for birthday party planning. You can view more party recipe ideas on our Party Food page. If you want to see party themes for a theme not listed here, please let me know and I’d be happy to create some specific party themes for you! Actor’s Academy: Lights, camera, action! 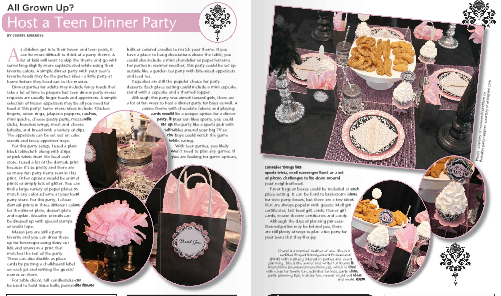 This unique party theme is filled with creative activity ideas for both genders and all age groups. Alien Invasion: The aliens are here and ready to invade your party! 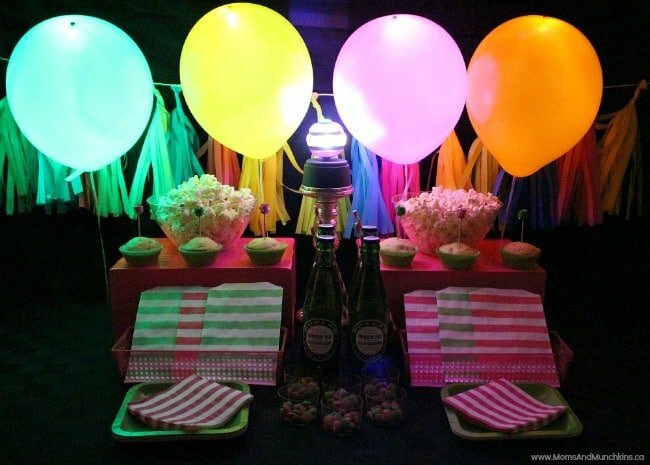 This party idea is filled with fun glowing decorations. You can also check out our special Alien category for free printables, a roundup of creative party ideas, alien crafts, food, games and more! Arcade: Fun ideas for turning your home into an arcade for this fun theme. Planning a party at an arcade but looking to make it stand out as creative and original? Check out this Arcade Birthday party post by Elizabeth. Arctic Animals: Grab your scarf & mittens because we’re heading to the Arctic for a fun Arctic Animal Birthday Party! Here’s a tip my mom always told me when I was little – don’t eat the yellow snow. Art: This art-inspired birthday party will bring out the creative side of your little party guests. 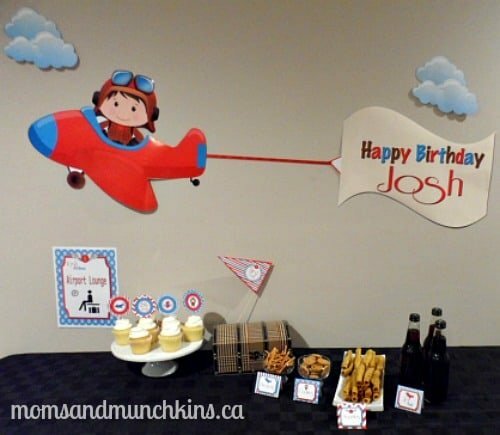 Aviation: Make sure your carry-on bags are stowed and your seats are in the upright position because we’re flying down to the coolest birthday party idea for mini pilots – an aviation theme! Don’t forget to visit our special Airplane category for even more fun ideas! Ballerina: These tutu cute ballerina birthday party ideas are sure to delight your little dancing princess. 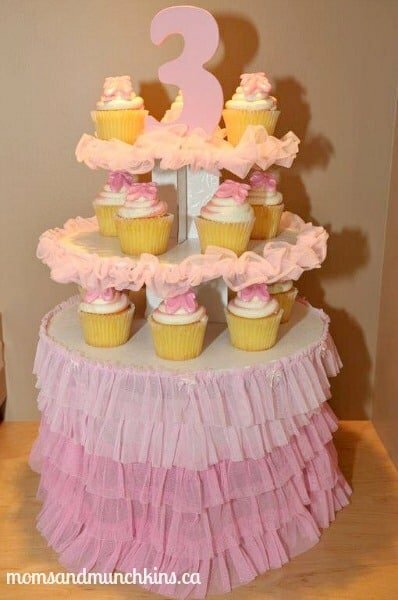 Be sure to visit our special Ballerina category for even more fun ideas! Balloons & Sprinkles: Such a bright and cheerful party theme that’s great for all ages! Barn: Yeehaw! These fun barn theme ideas are perfect for your little farmers. Baseball: Batter Up! Your little ones will feel like you’ve taken them out to the ball game with these fun baseball themed ideas. Beach Party: Grab your swimsuit and towel and get ready for the ultimate beach party! Loads of fun games in this post – you’ll love them! Visit our Beach category for even more creative ideas. 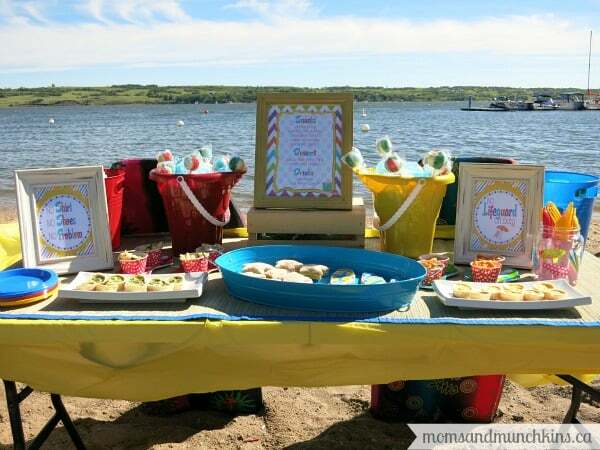 Beach Tailgate Party: For a beach party on-the-go, check out these Beach Tailgate Party ideas! 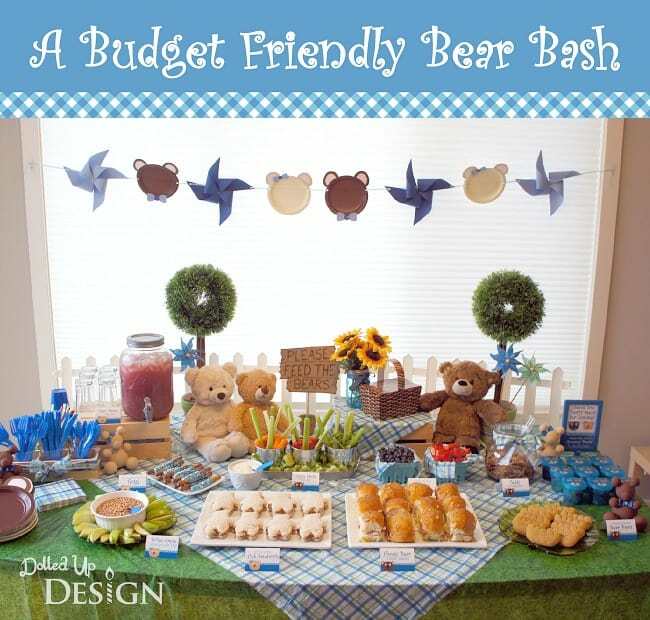 Bear Party – Don’t forget to bring your teddy bear to this adorable Teddy Bear Picnic Party! Bubble Guppies: Time to dive into the sea to party with these funny characters! If you haven’t watched the show before I should warn you…the songs are very catchy! Camo: This is perfect for an army themed birthday party. It’s great for kids and adults – how do I know? We used this theme for my husband’s 36th birthday party! Camping: Whether your camping party is indoors or outdoors, these ideas are adaptable to both settings. Be sure to visit our Camping category for even more fun ideas and delicious recipes! Camping Part II: I love the camping theme so much that I had to write 2 posts on it! This one is more geared towards the Summer Camp experience. Care Bears: Do you know that Care Bears have been around since 1981? If you have a little Care Bear fan, you’ll love these ideas. Chick Magnet: This party theme is perfect for your little heartbreaker and is a cute theme for a child with a birthday around Valentine’s Day or Easter. 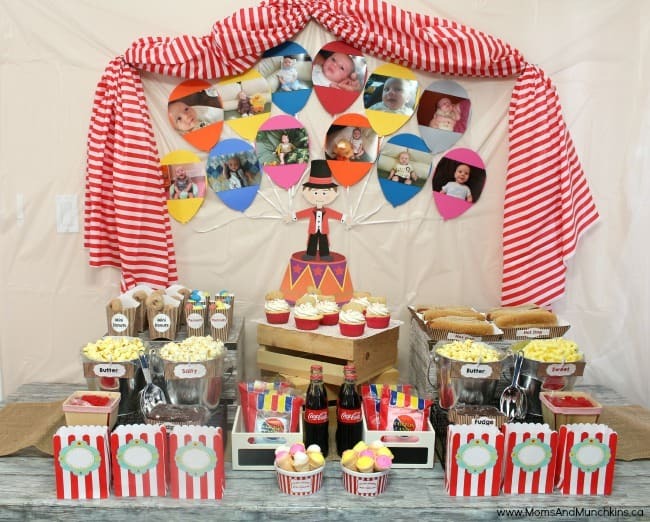 Circus: You don’t need to be under the big top circus tent to have a fun circus party at home. Retro Circus Party: Circus parties are so fun that we had to make TWO parties to celebrate the Circus! Construction: Don’t forget your hard hat! The little ones will love digging in the dirt with these fun party ideas. For even more fun construction party ideas, visit our special Construction category. County Fair: Cotton candy, candy apples, pie eating contest…sounds like the perfect party theme to me! Cowboy: Giddyup! 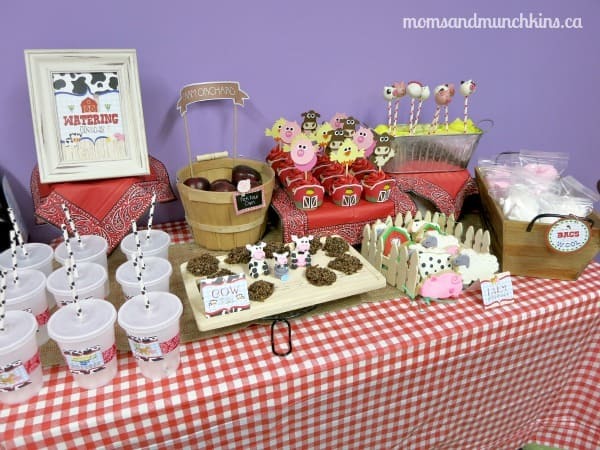 These fun cowboy party ideas are perfect for both little cowboys and cowgirls. Dance Party with Mocktails (Teens): As your kids get older, it may be difficult to find a party theme they’ll enjoy. Here are some fun ideas for planning a dance party with glowing decorations. 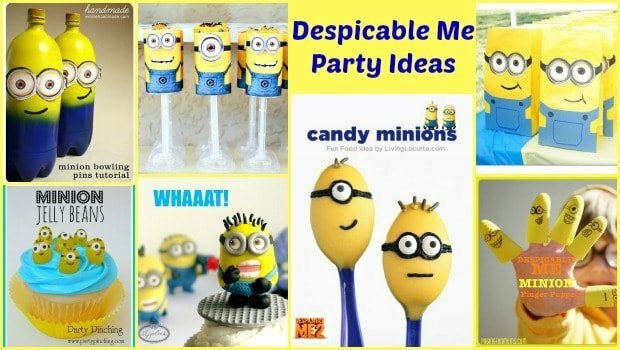 Despicable Me: This collection of adorable minion treats and activities is sure to make kids of all ages giggle! 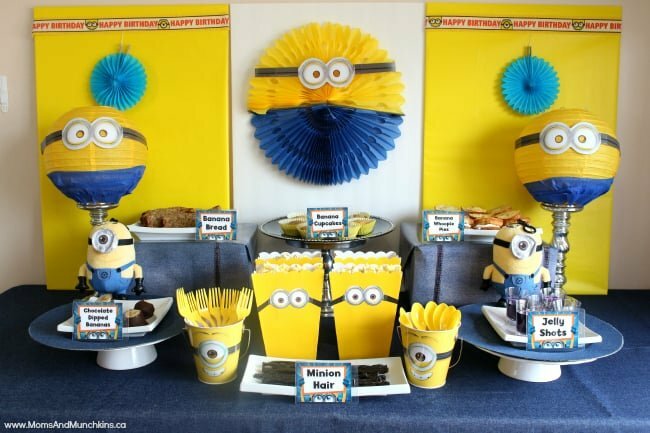 Don’t miss this other creative collection of Minion Party ideas! Diner: Get out your records and get ready to dance! These diner party ideas will have you craving a milkshake and some great jukebox tunes. 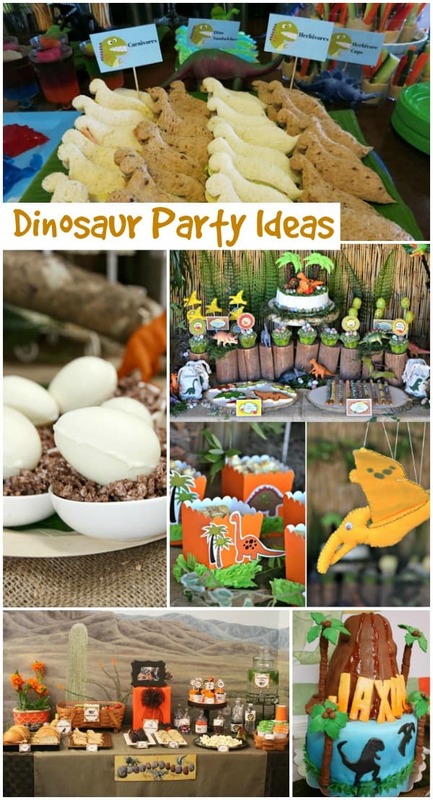 Dinosaur: With fun games like a dinosaur dig, little ones of every age will enjoy this fun birthday theme. Don’t miss our special Dinosaur category for even more creative ideas! Doc McStuffins: Time for your check-up! 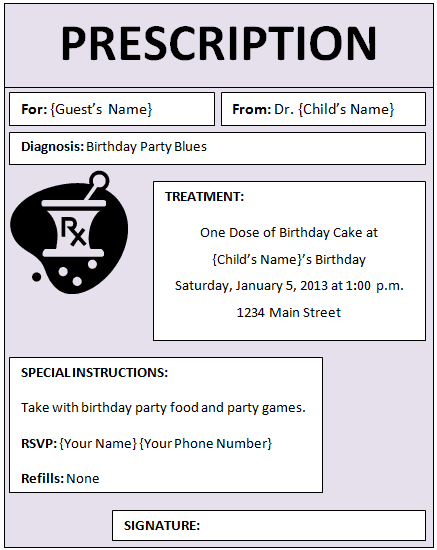 Any fans of Doc McStuffins are sure to love these fun ideas. These are also perfect for those looking for a doctor or nurse-themed party. Dora The Explorer: Are you ready for an adventure? 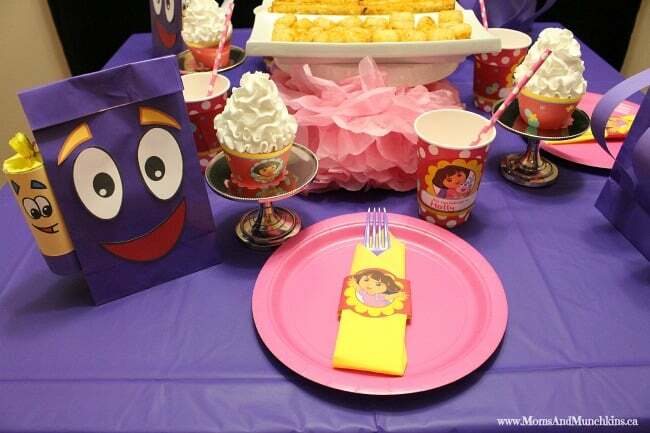 These Dora The Explorer dinner party ideas include links to free printables! Dr. Seuss: On what other occasion would you be able to feed guests floob-boober-bab-boober-bubs and oobleck? Here are loads of ideas for food, games, decor and more! Be sure to visit our Dr. Seuss category for even more fun ideas! Drive-In Movie: Who doesn’t love movies & popcorn?! 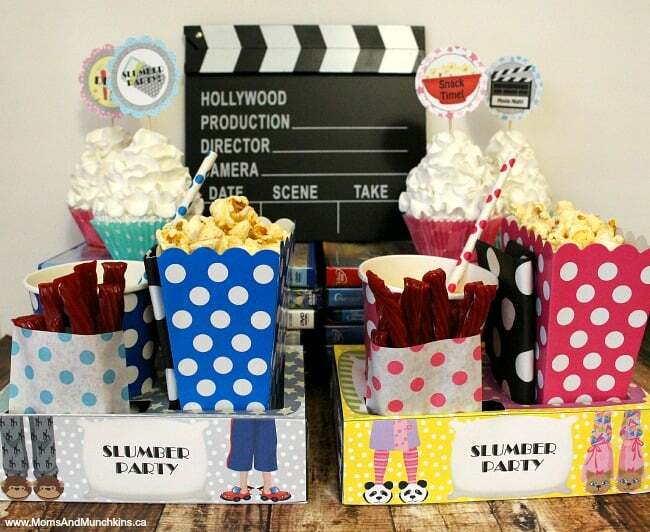 This fun birthday party idea includes activity ideas like creating your own vehicle to watch the featured movies in! 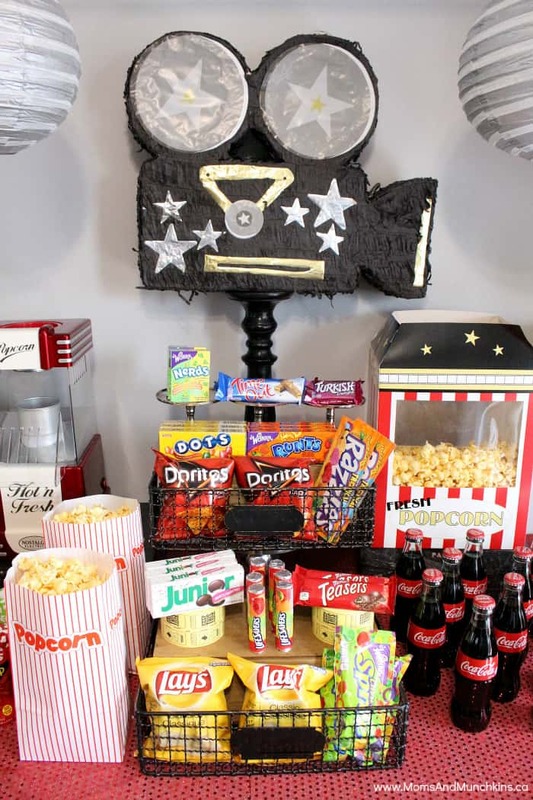 Be sure to visit our special Movie Night category for even more fun ideas! Farm Animals: Oink, Neigh, Baa, Moo – my little baby just turned two! 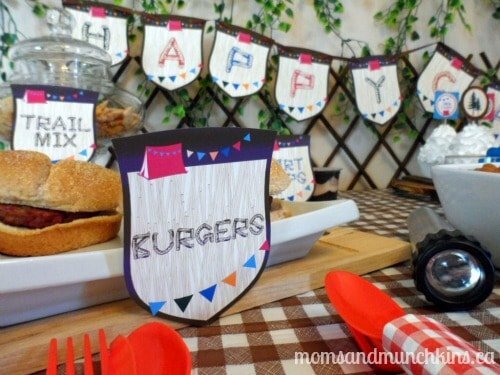 Here are some fun ideas for a farm themed birthday along with photos from my adorable son’s second birthday party. 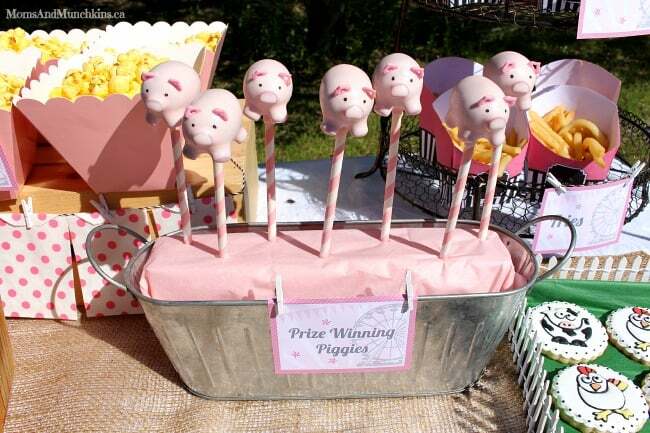 Don’t forget to also check out these 10 creative ideas for a Farm Birthday Party. Firefighter: Licorice fire hose and brownie firehouses help set the scene with this creative theme. Your little ones will have fun with the firefighter training ideas. First Birthday Party: I don’t talk about my family too often on the blog but in this post you’ll hear about my son’s first birthday party and the Under the Sea theme. 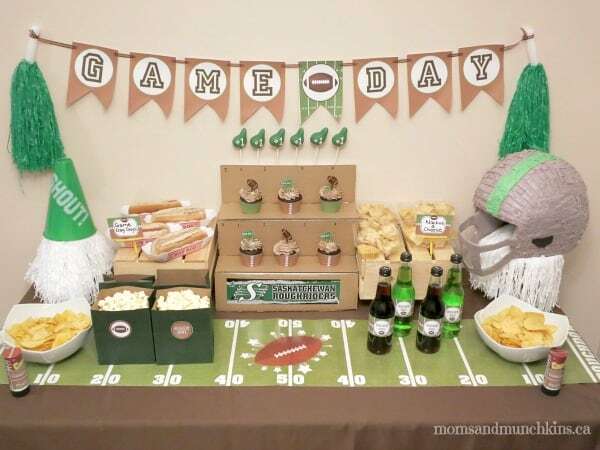 Football Party: These fun ideas are great for a birthday party, a game day party or a championship celebration! Be sure to also check out our Football Tailgate Party featured in Calgary’s Child Magazine. Frog Prince: I love this theme so much that I actually used some small frog prince touches in my own wedding! 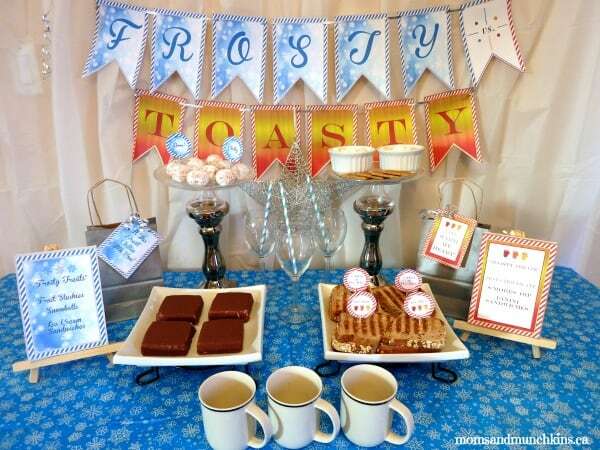 Frosty vs. Toasty: This winter party is filled with delicious frozen treats and some tasty toasty treats to enjoy after fun outdoor activities. 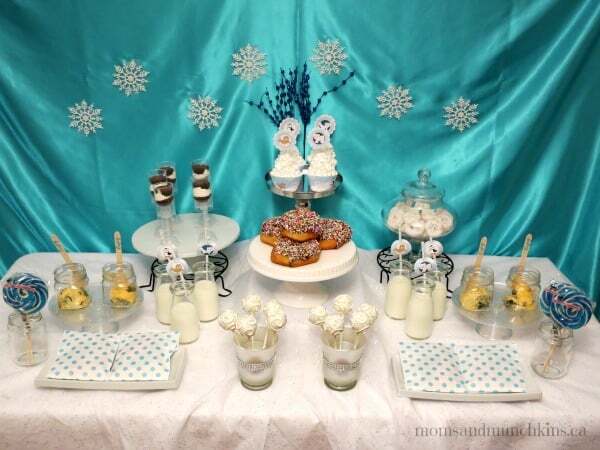 Frozen Slumber Party Ideas: These party ideas are great for any type of Frozen-themed party – a slumber party, an un-slumber party (like a slumber party without the sleepover) and more! 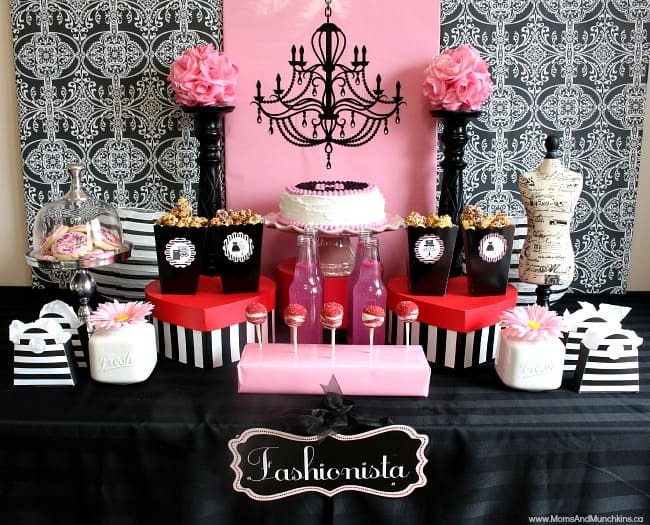 Glamorous: If you have little ones who are interested in fashion, this would be a fun theme to plan. Glowing Dance Party: A dance party is a theme that kids from toddlers to teens will love! Handy Manny: We’re big fans of Handy Manny in our house. This fun theme provides ideas for the little ones to participate in their own building challenge. Horses / Kentucky Derby: And they’re off! This horse race theme is perfect for little ones that love horses. Jake & the Never Land Pirates: Yo Ho Let’s Go! This fun pirate post is full of fun ideas for activities, food, decor, and more! Karaoke: Grab that microphone & get ready to sing! Ladybug: This cute theme is perfect for even the smallest kids in your home. This theme would be perfect for an outdoor garden party. LEGO DUPLO Party: With fun building challenges and a race track, there are plenty of activities in this party to keep the little ones entertained. 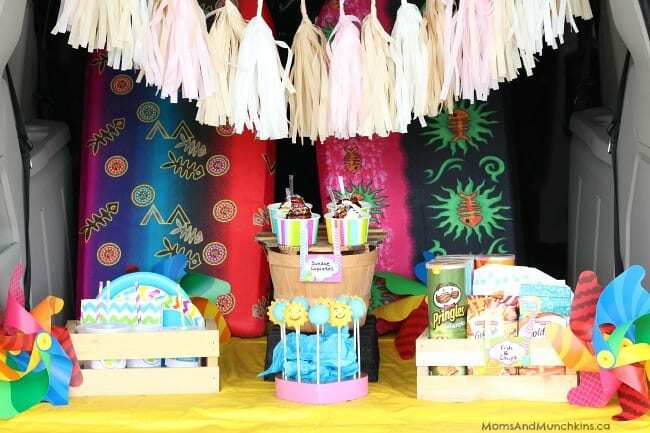 Luau: With fun games like hula dancing and the limbo, this is a fun party theme for all ages. Magician: Abracadabra! Kids will love learning some magic tricks with this fun party theme. 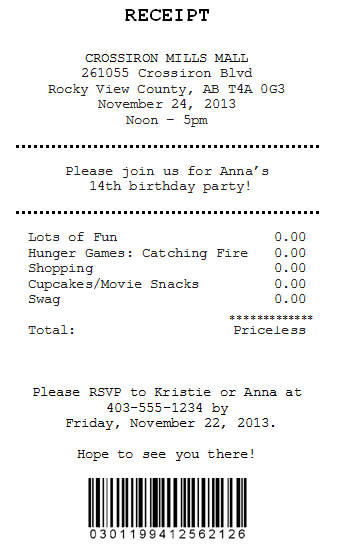 Mall Birthday Party: This birthday party includes a really unique idea for a receipt style invitation! Mall Scavenger Hunt: We love this theme so much that we created an entire printable collection of fun Mall Scavenger Hunt ideas! Mall Scavenger Hunt (Teens): Most teens love the mall so it seems natural to plan a party in the place that they hang out in the most! This mall scavenger hunt includes a free printable. Masquerade Ball Dance Party (Teens): There is something both glamorous and mysterious about a masquerade ball. 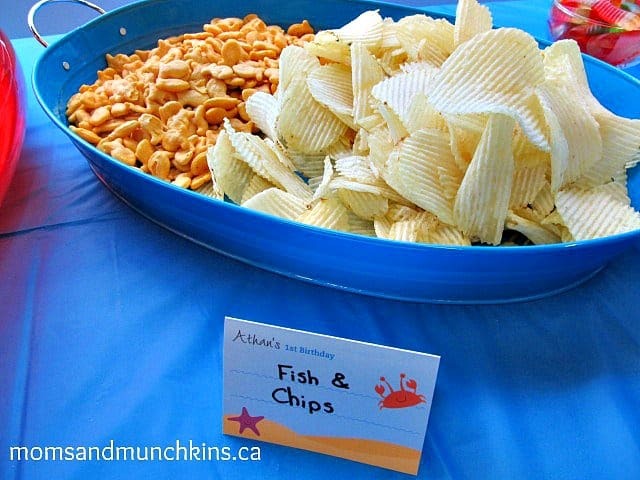 This would be a fun idea for those teens that are tough to plan parties for! Mickey Mouse Party: Meeska Mouska Mickey Mouse! 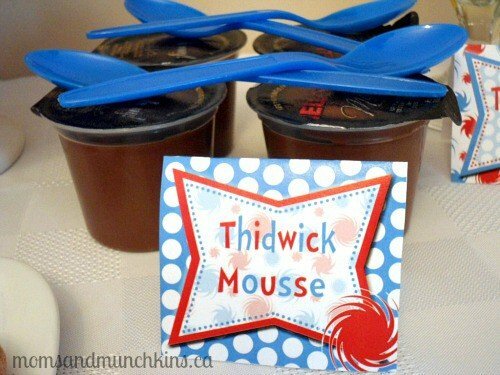 These fun Mickey party ideas are featured around the popular Mickey Mouse Clubhouse show. 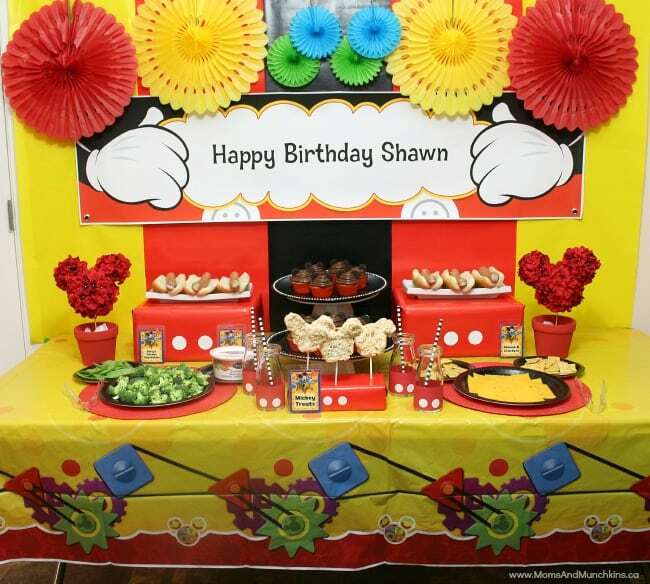 Here are even more Mickey Mouse Party Ideas from talented bloggers and party planners. 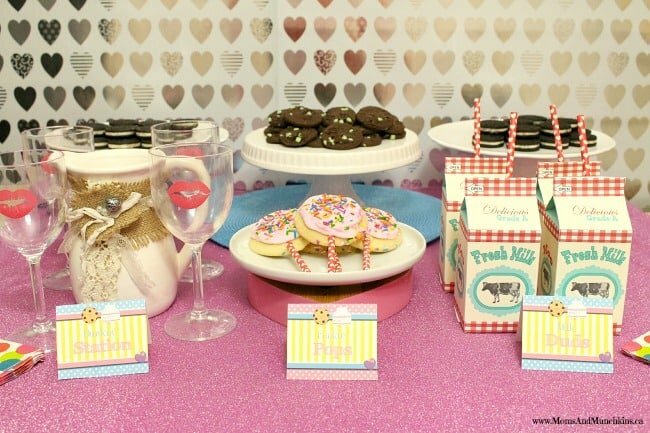 Milk & Cookies: These party ideas were created for a Valentine’s Day party but they can easily be transformed into a sweet birthday party. 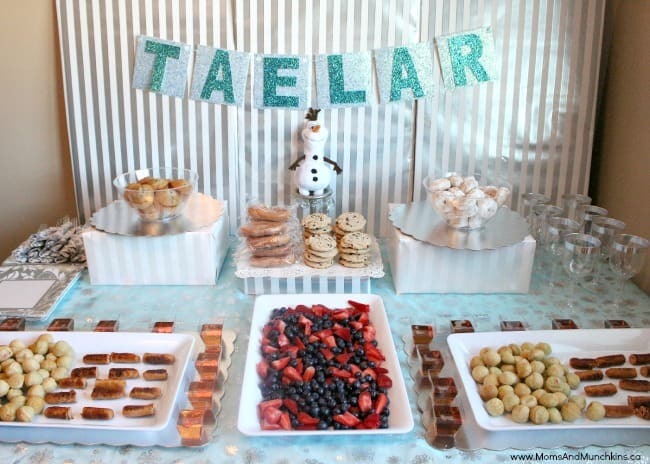 For more ideas for a Milk & Cookies party, visit our special Cookies category. 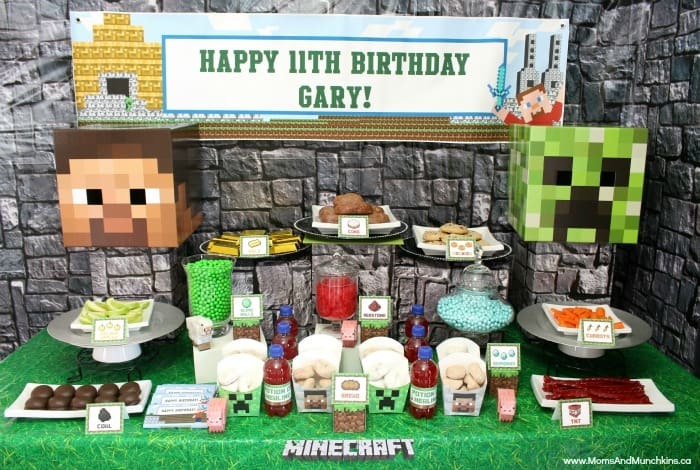 Minecraft Party: This party theme is packed full of ideas for food, treats, decor and more! Don’t miss this post for Minecraft Party game ideas for young kids. Minions: What’s a minion’s favorite food? Bananas! This party is filled with banana desserts and lots of colorful decorations! 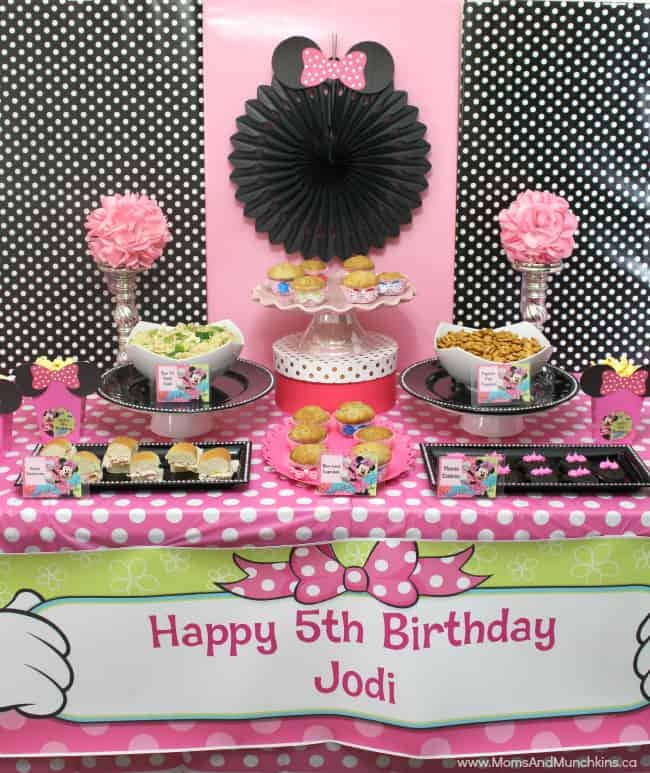 Minnie Mouse: Celebrating your party in style with a Minnie Bow-tique Party! Monkey: Little monkey themed parties are so popular right now. Here you’ll find ideas for everything from invites and games to treat bags. Monster: ROAR! 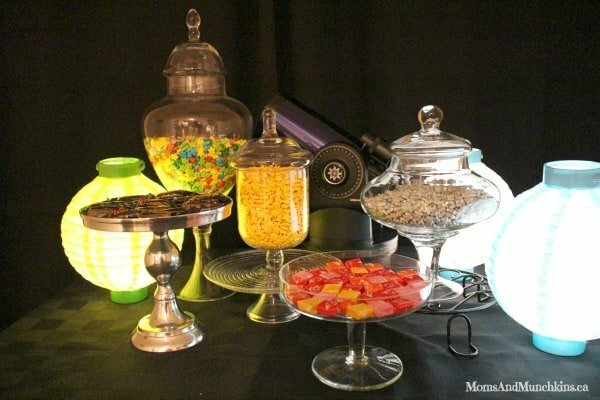 These fun monster party ideas include a slightly gruesome but delicious buffet, a monster photo booth and more! 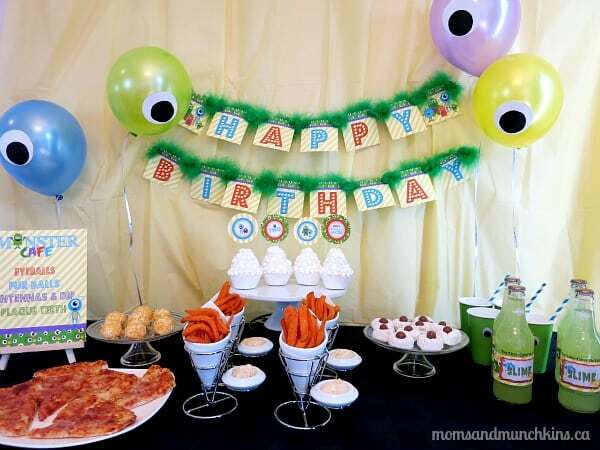 Don’t forget to also check out 10 Creative Monster Party Ideas from some of my favorite party designers. 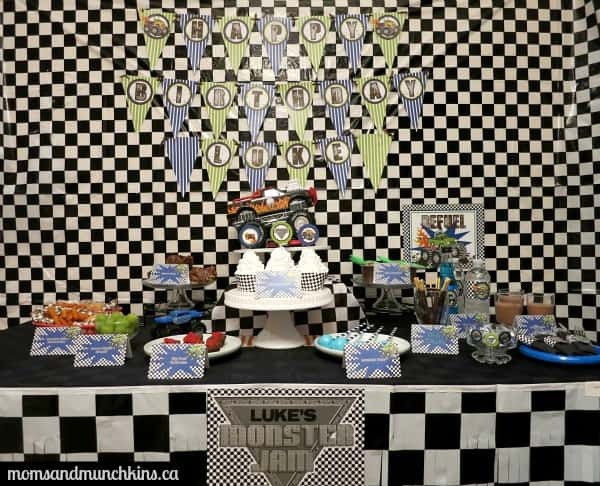 Monster Trucks: Your guests will have a smashing good time with these fun monster truck birthday party ideas! You can also check out our special Monster Truck category for games, food ideas, a roundup of creative party ideas and more! 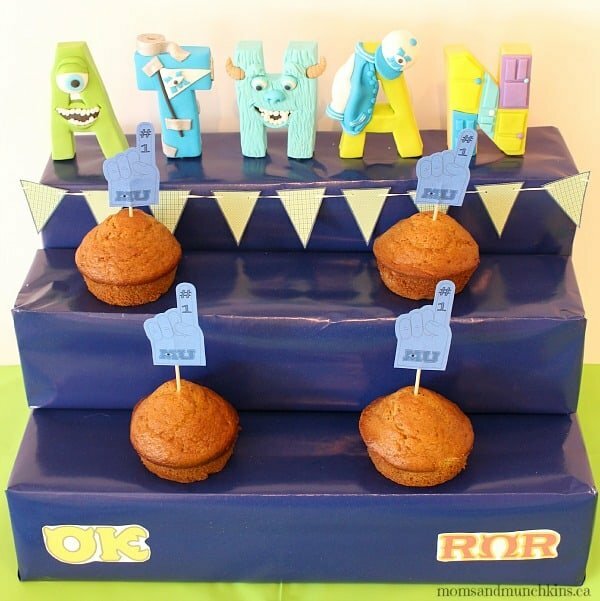 Monsters University: My son absolutely loves Monsters, Inc. and Monsters University so I’ve put together an inspiration board for this 3rd birthday party. Movie Night Party: Light, Camera, Party! 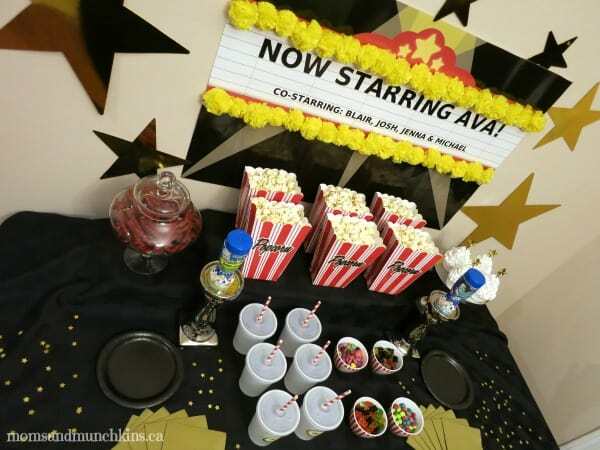 Fun ideas for hosting a movie night party – ideas for all ages! Mystery: Even if you aren’t planning a birthday party, your kids will love playing these fun mystery games at home. Stop by our special Mystery category for more fun ideas & free printables. Outer Space: Does your little one love looking at the stars and imagining what other life exists out there? 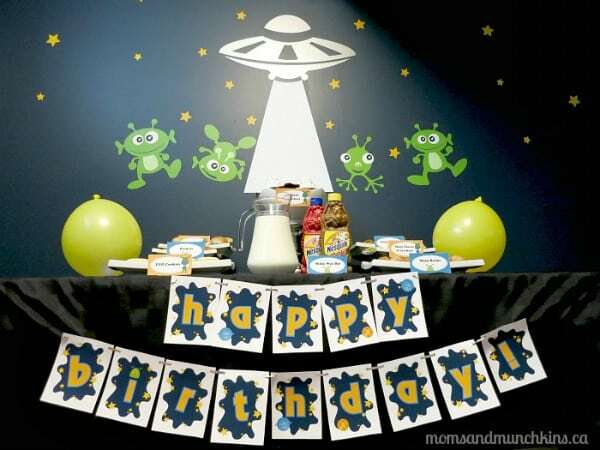 Then this fun glow in the dark alien theme would be a fun party theme for you! You can also check out our special Alien category for free printables, a roundup of creative party ideas, alien crafts, food, games and more! Owl: Guess whooo has some fun owl birthday party ideas? We do! Pancakes and Pajamas: Whether you’re a night owl or an early bird, this party will fit your schedule! You can also check out our Slumber Party category for delicious snack ideas, breakfast recipes, games, free printables, a roundup of slumber party ideas and more. Paris: Oooh la la! 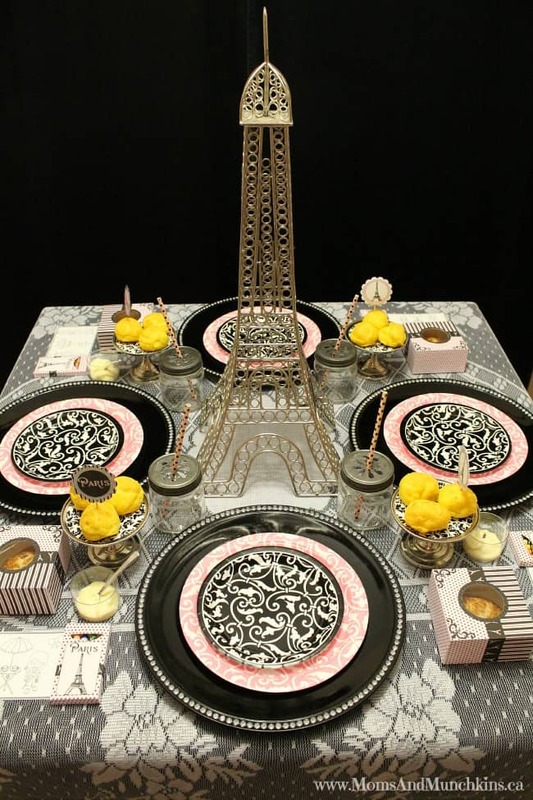 Your little diva will love these cute Paris themed party ideas along with hors d’oeuvres and tiny pastries. 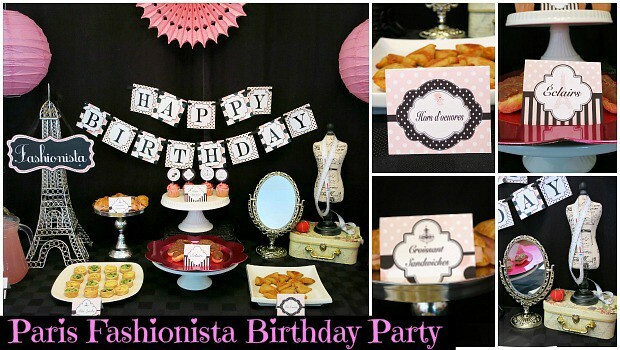 Paris Fashionista: Your little diva or junior fashionista-in-training is sure to love these fabulous party ideas. 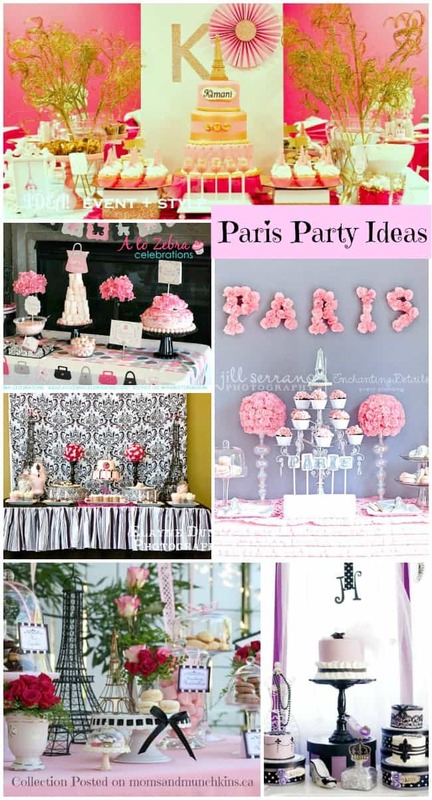 Paris Party Inspiration: Looking for even more ideas for a Paris themed party? 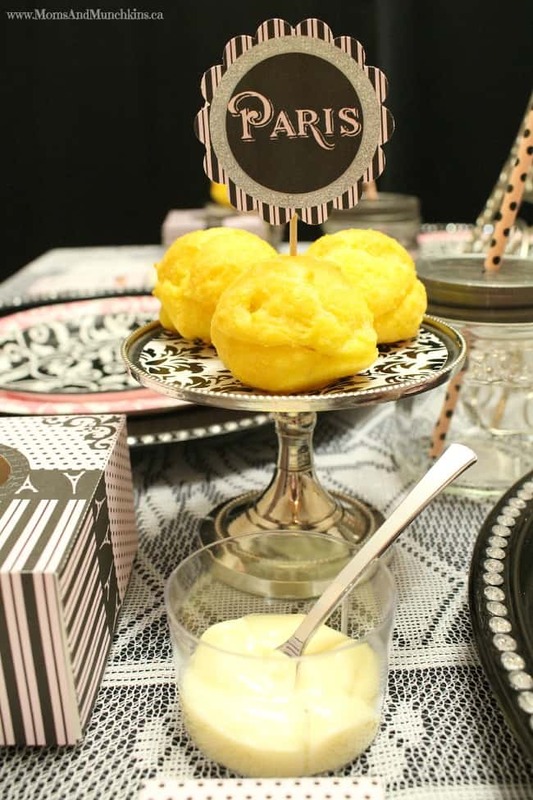 Check out these posts by creative party designers. You’ll find loads of inspiration here! 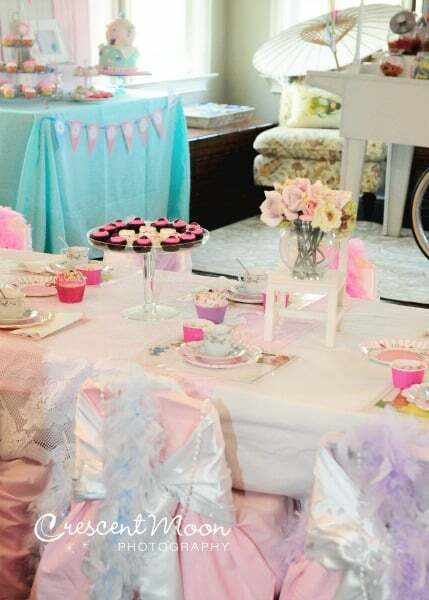 Paris Tea Party: Adorable activities paired with sweet treats makes this a play date that all little girls will love! Pet Shop Party: This fun theme is set up like a specialty pet store and is filled with fun food ideas, creative activities and more! Picnic Party: With the sun shining, birds chirping and children laughing in the park, this sounds like the perfect summer party theme. Visit our Picnic category for even more delicious ideas. 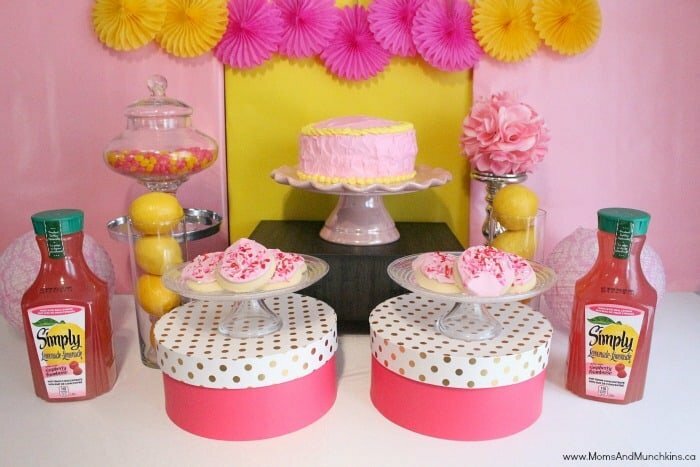 Pink Lemonade: It’s sweet, it’s tart and it’s an adorable party theme! 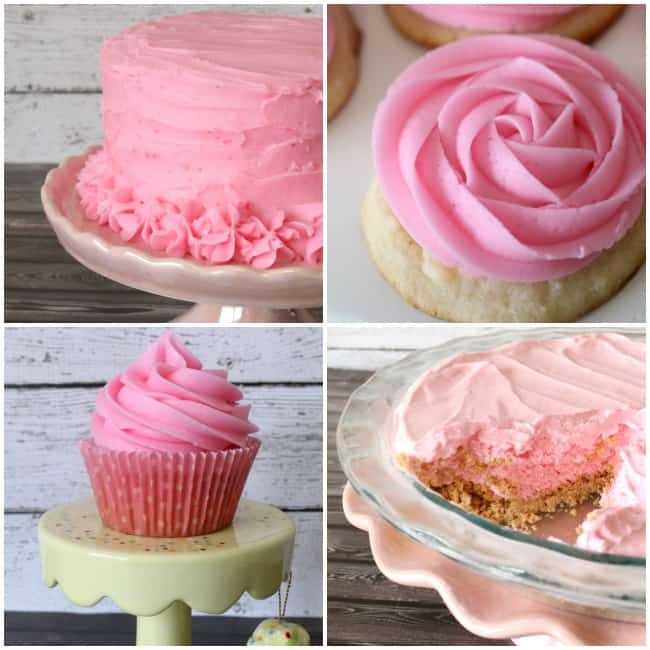 In this Pink Lemonade Party post you’ll find pink lemonade recipes and free printables! 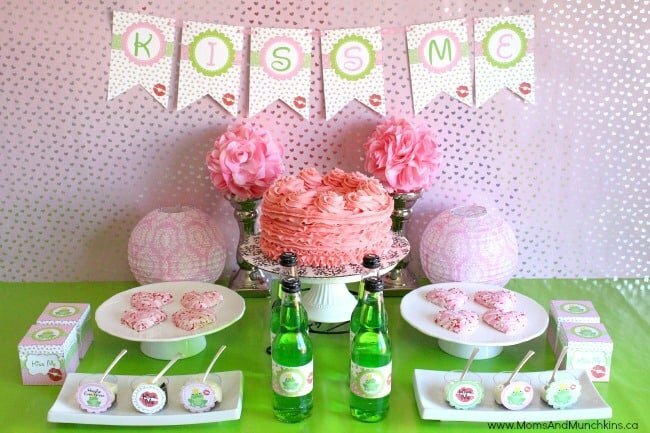 Pink Lemonade Party: We love this idea for summer tea parties so much that we put together two parties for it! Pirate: Ahoy Matey! 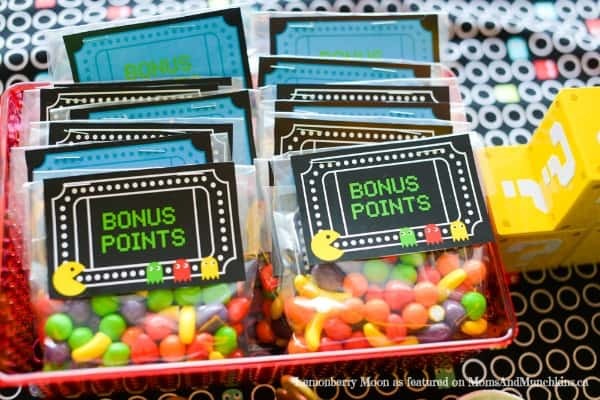 These fun pirate party ideas include tips for creating your own treasure hunt at home. Princess & Knights: Hear ye, Here ye! 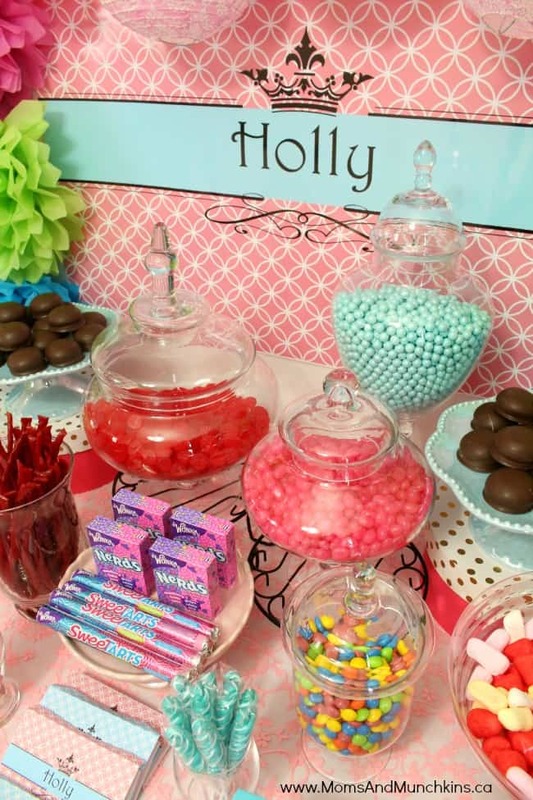 These adorable Princess & Knight birthday party ideas are perfect for a co-ed birthday party! Racing / Cars: Start your engines! 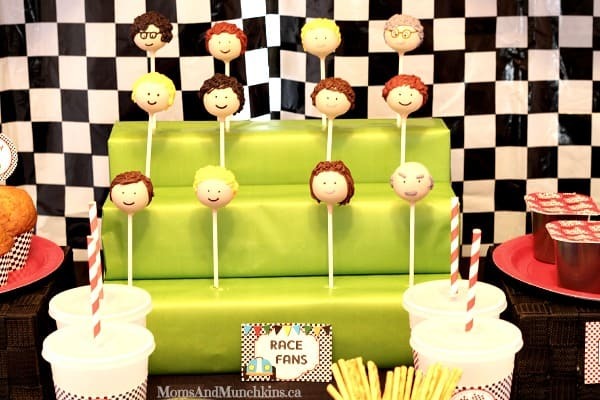 Any fans of race cars will love this party theme. Don’t forget to set up an area for the pit crew to keep this party operating smoothly. Be sure to visit our special Racing category for even more creative ideas! Reality TV Star: Do you have what it takes to be a reality TV star? Test your skills in these fun audition games and challenges! Rock Star: Are you ready to rock?! 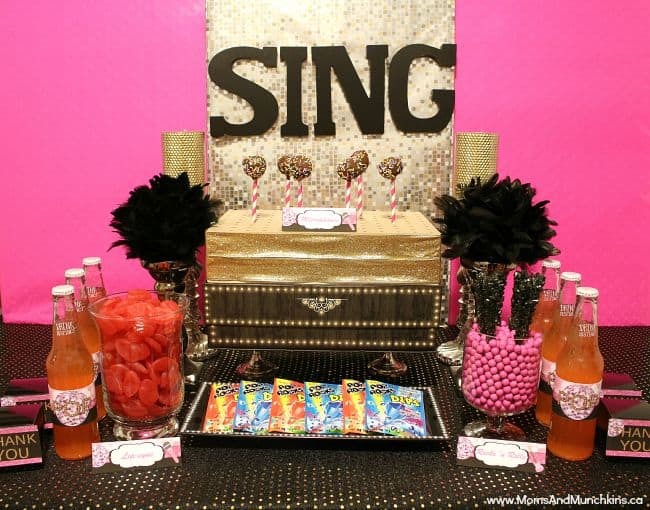 These fun party ideas are a great idea for kids who love to dance and sing. 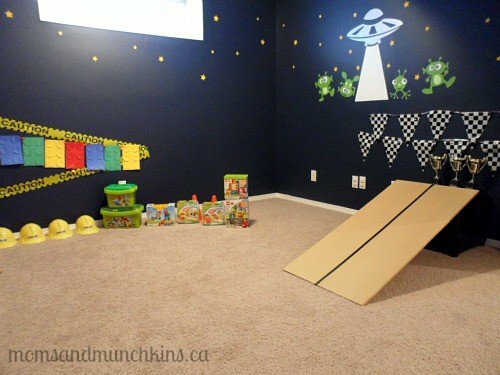 Roller Derby: Even if you don’t have a rollerskating arena in your city, there are ways you can create a fun roller derby theme at home. Romantic Movie Marathon: Light, camera, action! 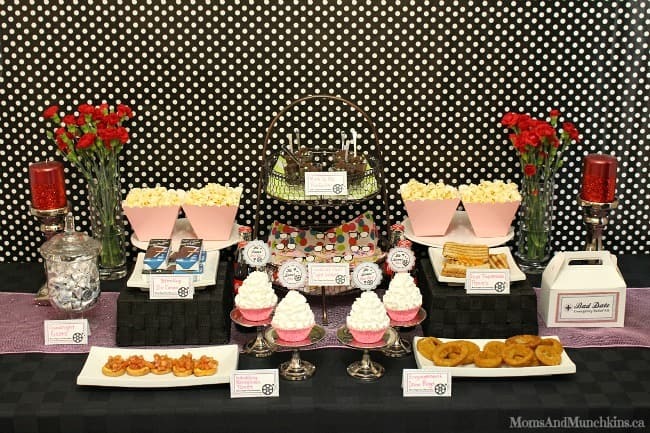 This party would be perfect for a tween slumber party or your next ladies night. Safari: Roar!! 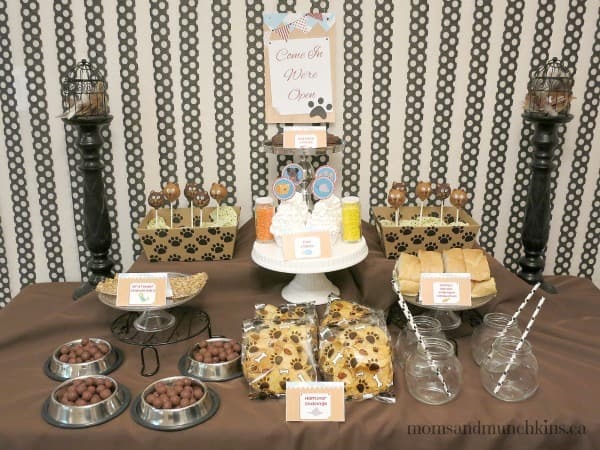 These fun safari party ideas include some fun ideas for creating your own safari tour at home with snacks for the animals! 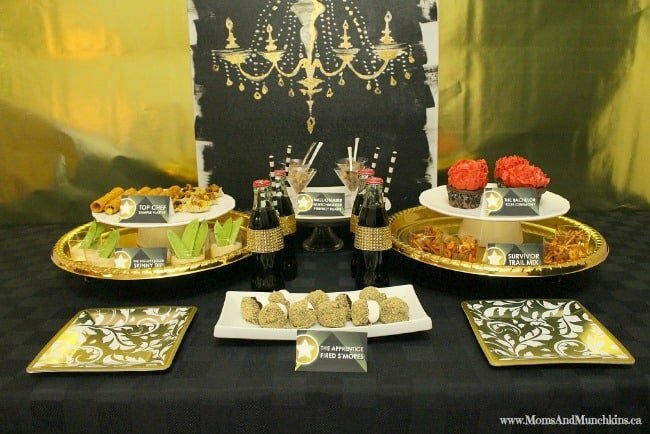 We also have a roundup post of 9 creative safari party ideas from fabulous party designers and party planning moms! Sailor: Ahoy! It’s time to hoist the sails and get ready for an adventure created for a sailor and his crew. 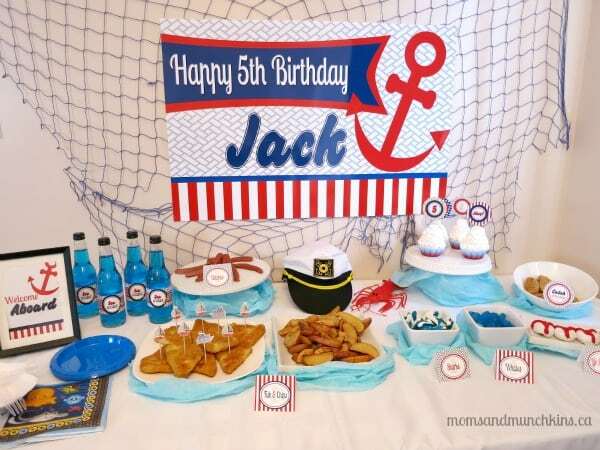 You can also check out our special Sailor category for a roundup of party ideas, food ideas, free printables, games and more! Shabby Chic Garden Party: I’m excited to share some fun photos for an article I did for Calgary’s Child magazine in a beautiful greenhouse. 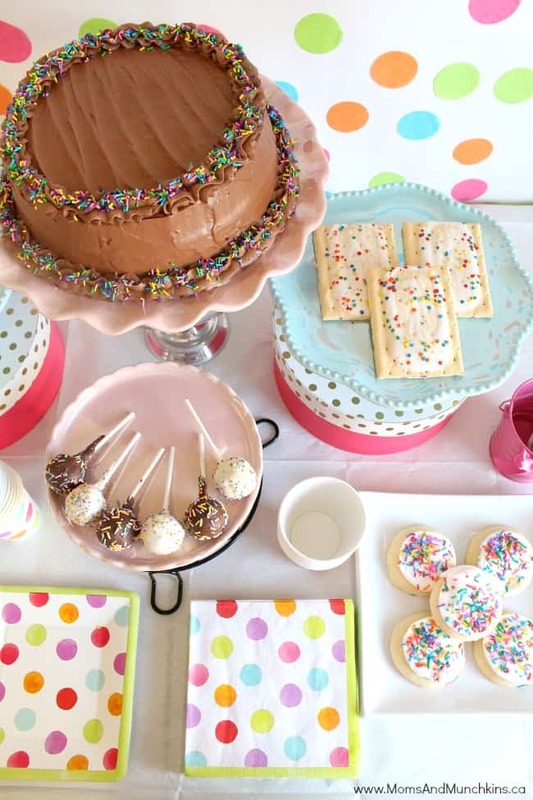 This is the perfect birthday for a little one who loves hosting tea parties. Be sure to visit our Shabby Chic Party category for loads of creative party ideas and delicious recipes. Slumber Party Ideas: These fun slumber party ideas include free printable decor, free printable games, food ideas, activity ideas and more! You can also check out our Slumber Party category for delicious snack ideas, breakfast recipes, games, free printables, a roundup of slumber party ideas and more. 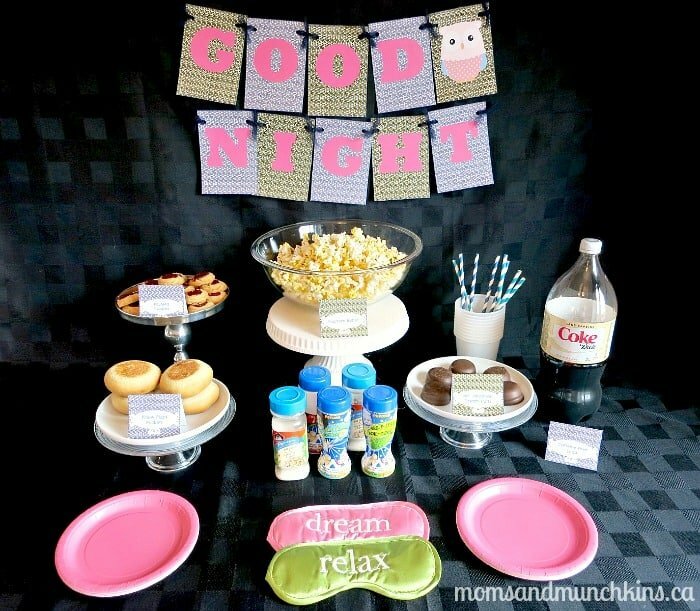 Slumber Party Movie Marathon: Adorable printables and fun ideas for hosting a night of movies, delicious snacks, movies and lots of giggles. 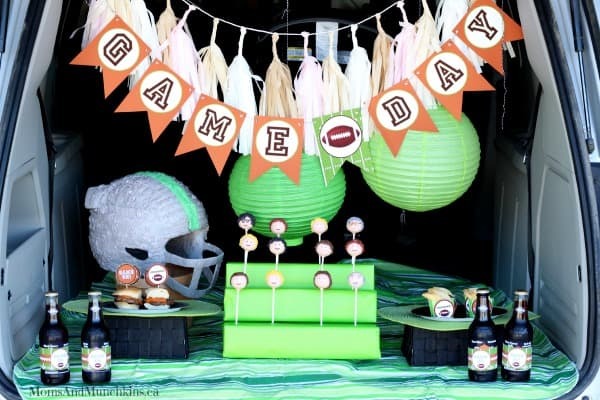 Soccer: Sport themes are always a high energy party idea. Spa Party: Fun spa party ideas that are great for all ages along with adorable & unique printables. 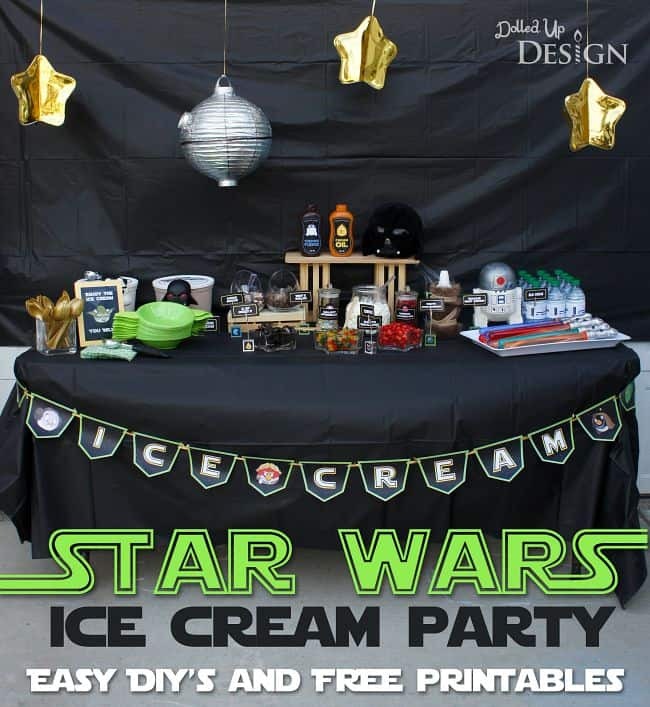 Star Wars Ice Cream Party: This incredibly clever Star Wars Ice Cream party has a fun Angry Birds twist plus it comes with FREE printables! Storybook: This roundup of ideas includes many popular books you likely remember from your own childhood. Superhero: It’s a bird! It’s a plane! It’s a Superhero Birthday Party! Swamp Creatures: They’re creepy, slimy and crawly but OH SO fun to party with! Don’t forget to visit our special Swamp category for even more creepy & crawly ideas! Tea Party: From beautiful party hats to delicious treats, this tea party has everything a little girl could dream of in a party! 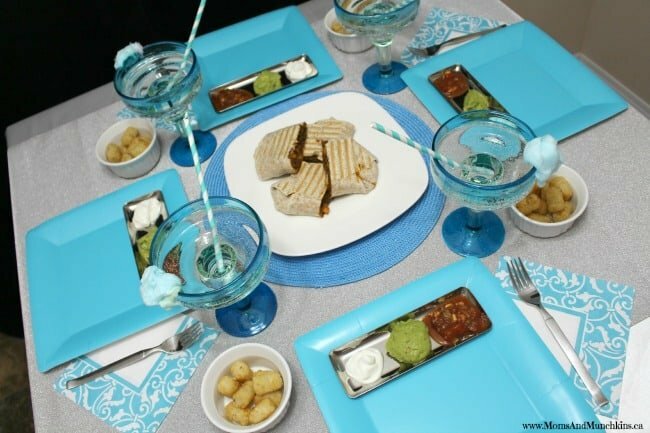 Teen Dinner Party: If your teen feels like she’s getting too old for a “themed” party, here are some fun ideas for planning a teen dinner party. 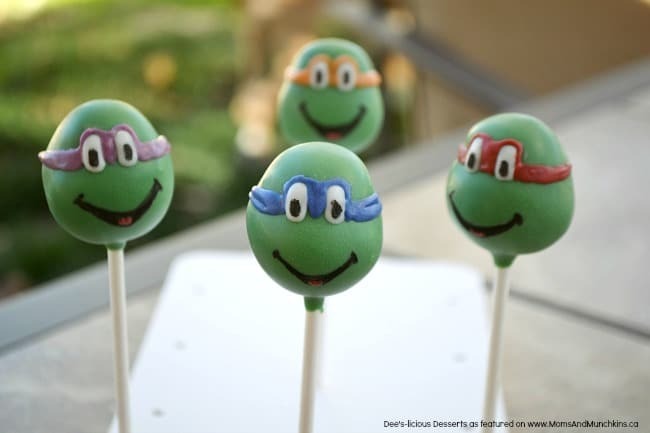 Teenage Mutant Ninja Turtles: Get ready to practice your best ninja skills while eating loads of pizza with these fun TMNT Party Ideas. 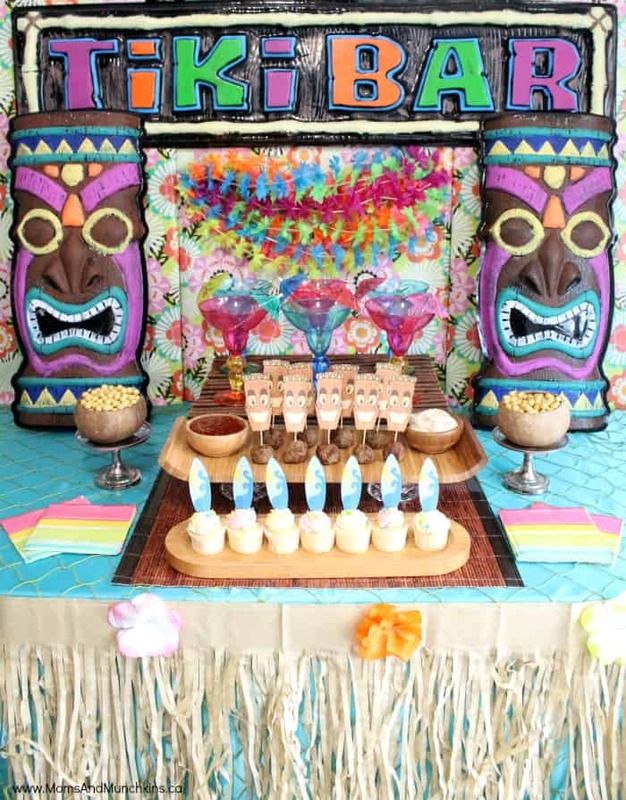 Tiki Mocktail Bar Party: Non-alcoholic drinks, Hawaiian dancing and luau party games make this a fun party theme for all ages! Tow Mater: Dad Gum! 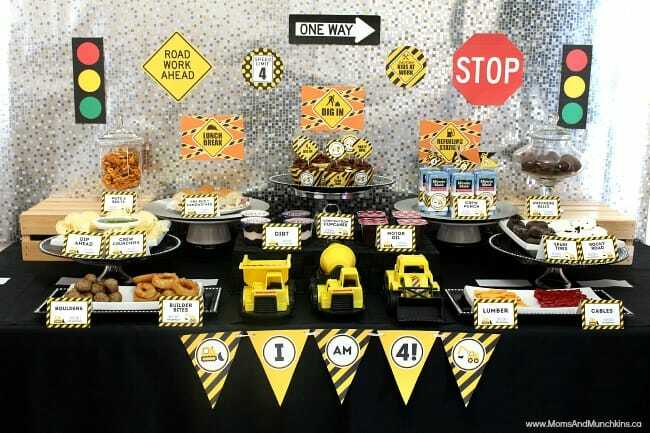 These Tow Mater birthday party ideas are perfect for little ones who can’t get enough of the Cars movies. Train: Chugga Chugga Choo Choo! 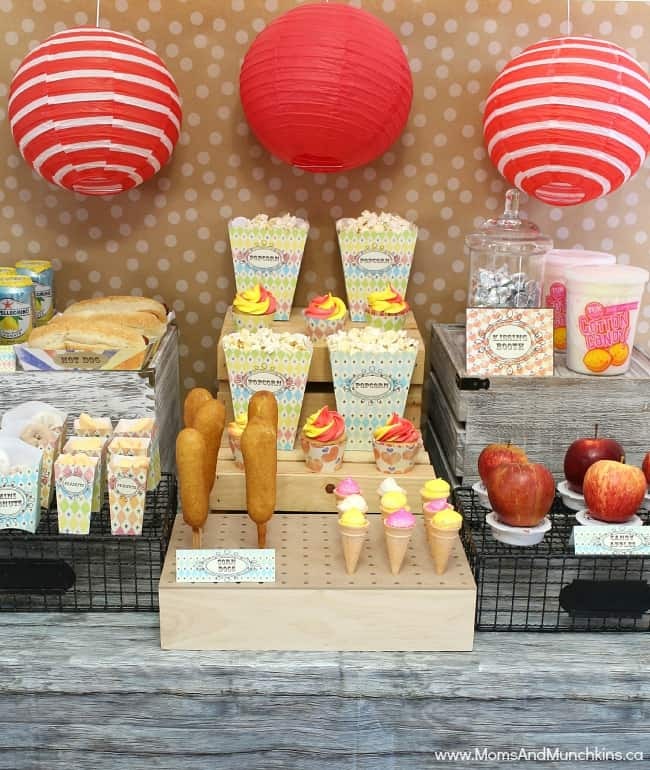 All aboard the Birthday Express for some fun train-themed party ideas! You can also view our special Train category for a roundup of train party ideas, free printables, games, food ideas and more. 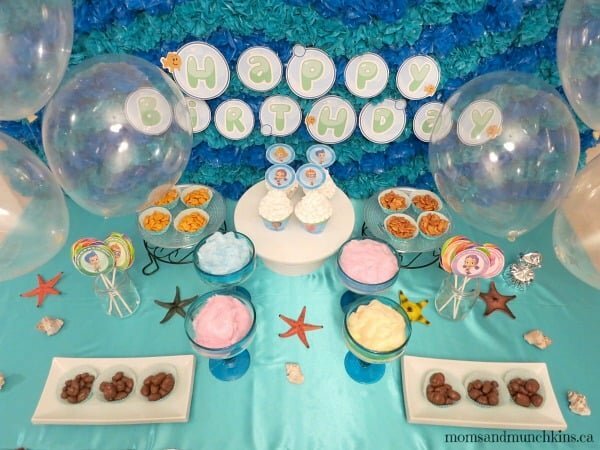 Under the Sea: This birthday party is perfect for kids of all ages. You can pair this theme with a pool party for a fun day for the kids and parents. Under The Stars: Grab your telescope and get ready to do some stargazing with your friends. This is a fun idea for a slumber party. Video Game Party: Game On! 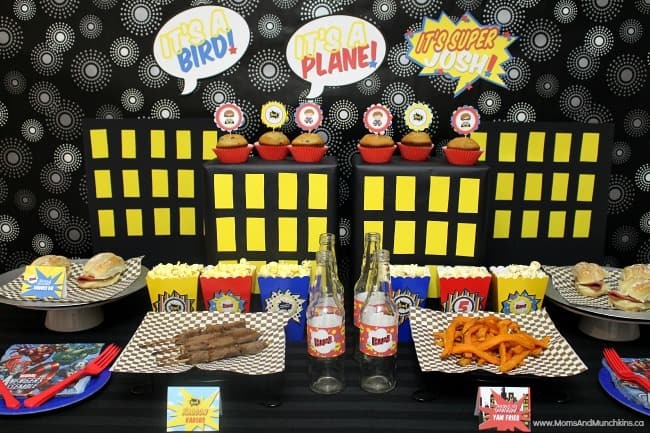 These retro video game party ideas include a printable party set, creative food ideas and more! Winter Wonderland: Rather than go into hibernation this winter season, try hosting a fun party instead! Great winter games here both for inside & outside. 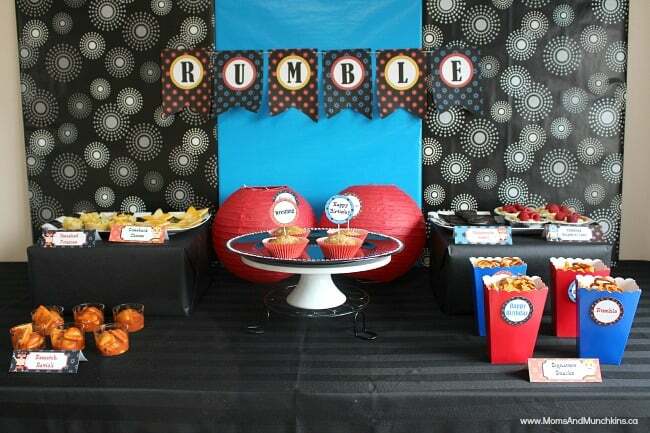 Wrestling Party Ideas: Get ready to rumble! 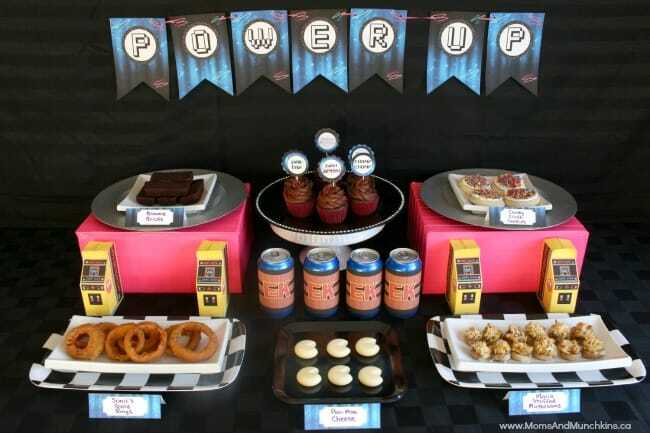 These wrestling party ideas include a printable party set, activity ideas, food ideas and more! 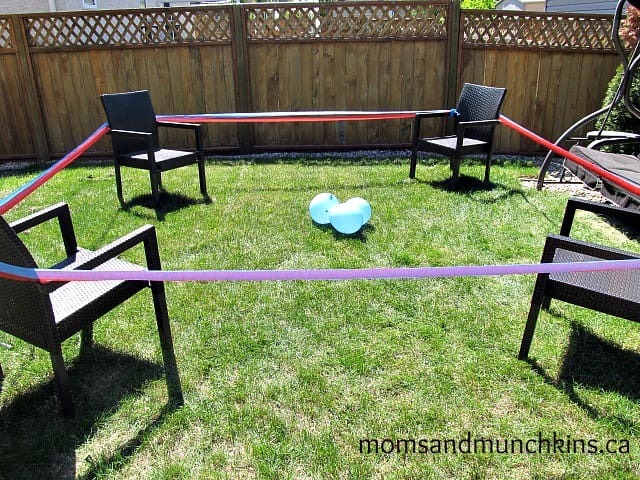 WWE Wrestling: This party post has a super fun idea for a water balloon wrestling ring. 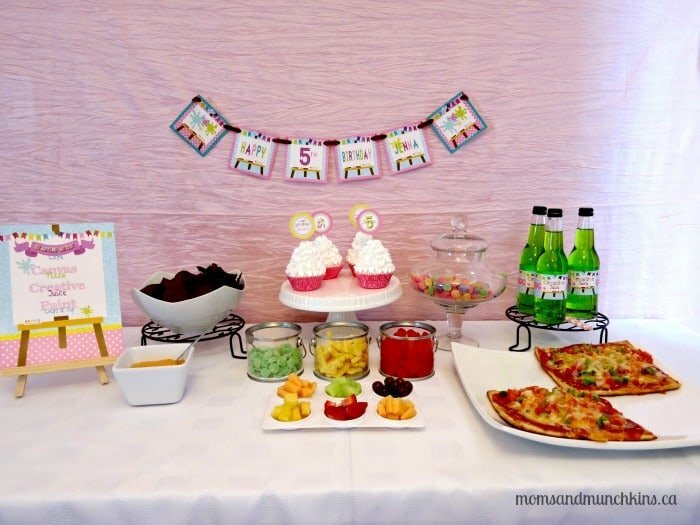 If you’d like to hear party tips from some of my favorite party experts, check out the Party Tip Tuesday features on Moms & Munchkins. Here you’ll find tips from party experts in areas like decorating, party themes, food, etiquette and more! We’re always working on new party themes so check back often for new creative ideas. You can also sign up for our monthly newsletter to keep updated on what we’re working on. Never miss an update by joining our communities on Facebook, Twitter, Pinterest and Bloglovin’.